Get a massage for yourself or your loved one, or enjoy a couple’s massage for the two of you. Or save on peak hour surcharges (shown below) by planning an alternate date at regular rates, or purchasing a massage gift certificate for redemption at a later date. Prices below are for Feb 14th only table massages across all service areas and include gratuity and deep tissue fee (if applicable) – all inclusive rates! 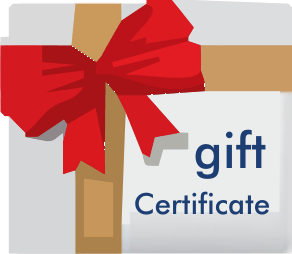 (For normal non-holiday and gift certificate pricing please click here). Chair massage available at $99/hour plus 20% gratuity, 2-hour minimum. Coupons (in yellow) may be applied towards rates below if booked by Feb 12th! Due to the high demand for our services on Feb 14th we have some special policies in place for Valentine’s Day massages. Our regular prices and discounts are available any day before or after Feb 14th and also apply to gift certificates purchased for redemption at a later date. All massages booked for Valentine’s Day must be paid in full in advance by credit card, and are non-refundable once booked. New customers will be asked to pay an online invoice through PayPal (no account required). There is a $20 surcharge per massage on top of our normal rates, and a gratuity is included. If you require two therapists at the same time for a “side-by-side” couple’s massage, price reflects a $50 surcharge. No discounts, gift certificate or package redemptions or other specials or credits are available for use any time on Valentine’s Day, unless specified in a promotion. Visit our regular in home massage prices pages for further pricing details. Don’t delay. We’ll be booked up soon. Call or book a massage online now!